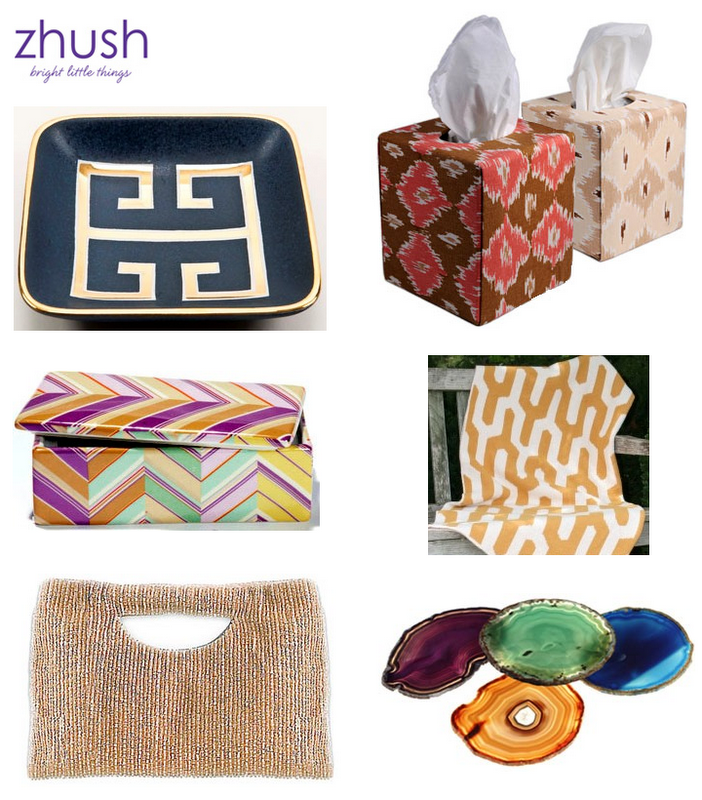 The Zhush, a stylish blog highlighting the best of today's home decor and fashion trends, has recently added a very chic online store to their site. Stocked selections include an assortment of accessories crafted with a design eye and sure to enhance your everyday needs. Found above, are a couple of pretty little things that caught my eye.... perfect for someone on your gift giving list.